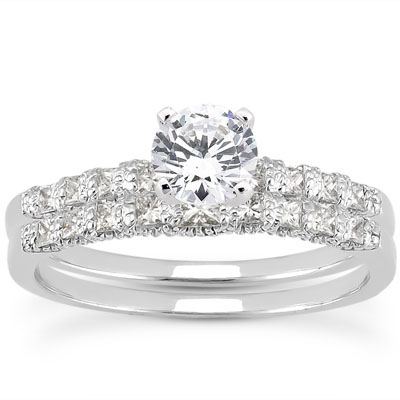 Celebrate the timelessness of your love with this classically-styled diamond engagement ring and wedding band set. 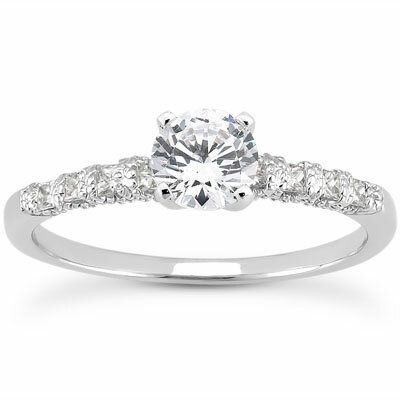 A 0.75 carat round diamond sits proudly atop the engagement ring, unashamedly declaring the precious nature of your love. Seventeen additional princess-cut diamonds sparkle from the top sides of both bands, adding unmistakable glamour and trend-defying elegance. 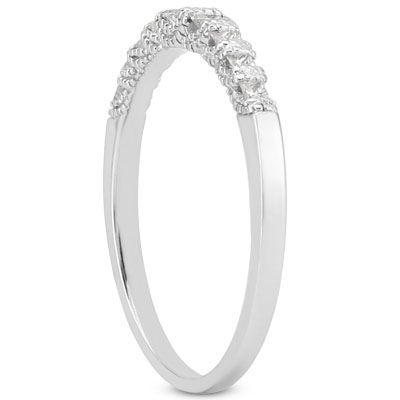 Like your love, these 14K white gold rings will never grow old. 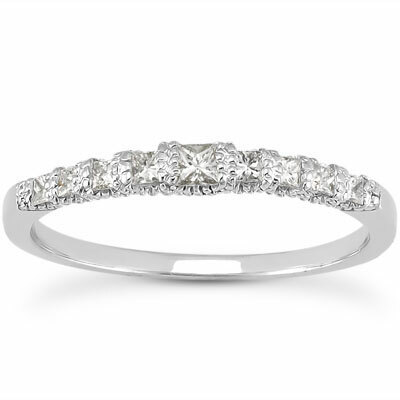 Their timeless combination of two classic diamond cuts and cool, shining white gold give them true staying power. Total carat weight 1.09 carats. 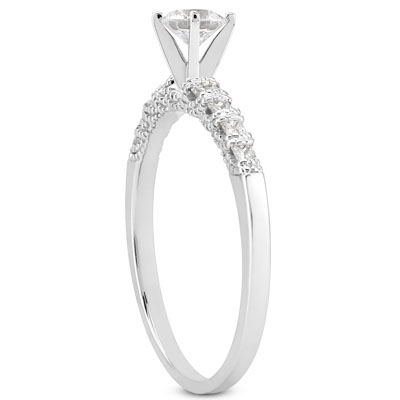 Apples of Gold Jewelry guarantees the 1 Carat Classic Diamond Engagement Set to be of high quality and an authentic engagement ring with real diamonds, as described above.